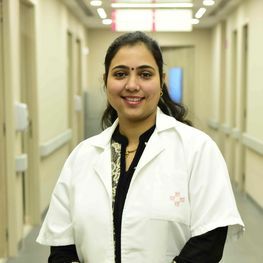 Deepti Tiwari brings over 14 years of experience in the field of therapeutic and clinical nutrition. She has worked with W Pratiksha Hospital, Artemis Hospital, Delhi Diabetic Research Centre and several other weight-loss clinics. She has completed her post-graduation from IHM Pusa. She has experience in formulating various therapeutic diets like anti-obesity diets, hypocholesterolemic diets, renal diets, lactose and gluten free diets, enteral feed formulas and many more.